At IIM L we have N number of courses that prepare us to battle it out in the world of business. But as they say, you cannot know what entrepreneurship is all about without getting into the thick of things and getting your hands dirty. 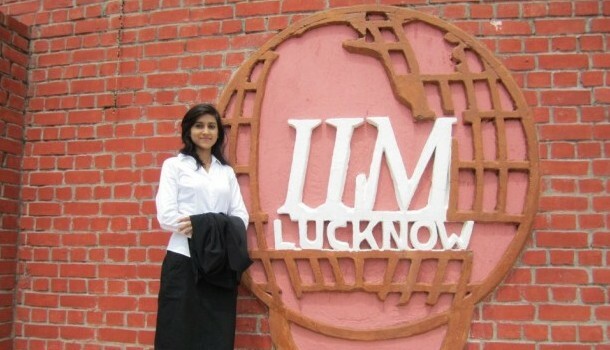 From a campus which has 6 start-ups on campus itself we bring to you an excerpt from our talk with Pallavi Mohadikar, a class of 2014 student at IIM Lucknow. Pallavi is a budding entrepreneur and has recently launched her new venture Indofash. Read on to know more. Q1. Can you tell us something about your background? Do you have any background in entrepreneurship? Any family or friends in this field? No. I do not have any background in entrepreneurship but I always dreamt of working for myself and be a proud owner of my own venture. I am an engineer and before joining IIML I worked with an IT company for 2 years. I hail from a middle class family. None of my family member was in this field so far. Q2. What inspired you to become an entrepreneur? I love to take up challenges and entrepreneurship will offer me a lot of them. My venture offers me freedom to do things the way I want to. I feel that it will help me become much better human being. It will help me create value which can be of much larger magnitude than working for someone else does. I want to build a brand which would be eternal. Whatever learning I have had till now in life would now get a chance to be practically put to test. This facet of entrepreneurship is very exciting for me. When I came to IIM for the first time, I went to visit the local market. And I was pleasantly surprised to see so many chikan(a special type of embroidery done by the artisans of Lucknow) apparel shops in the market with lot of variety. Being an avid shopper I was “wowed” because I had never seen such variety back in Maharashtra where I hail from. But at the same time I also noticed that there is no brand to represent this exquisite art. Hence I saw a lot of potential in it. I felt that if a right approach was followed then it could reach a larger audience across the country and even internationally. To test my idea, I put a small stall at the time of the class of 2013 convocation in March and I received a great response which went a great mile in boosting my confidence. Q4. What differentiates your venture than other ecommerce ventures? The aim of Indofash is to create a brand and e-commerce is one of the medium to reach to my target audience. I am open to using other channels like brick and click in future to take this art to the masses and give its artisans the due credit they deserve. Hence selling through the Indofash website is not the aim of my venture. Educating people about this art through my website and reaching them through all possible mediums is my larger aim. Hence I don’t consider all the existing ecommerce players like Flipkart or Jabong as my competitors. Q5. How did you manage to garner the resources required to start up? Presently, I am bootstraping this venture through funds generated through my friends and family. I tried to minimize cost by doing things on my own. I try to optimize my resources wherever I can. A lot of my friends helped me in small tasks which require substantial funds such as photoshoots, operations, creatives etc. My friend Aditya who happens to be a photographer and designer helped me save lot of money through his help in creatives. I developed good relationships with my suppliers. Because of the trust developed, they are ready to extend credit which solves a very crucial problem of funds. Hence I am trying to utilize all the resources in order to minimize costs at each step. Q7. How has your journey at IIML so far helped you with your entrepreneurial motivations? One of the biggest things IIM has given me is confidence in my abilities. I think it expanded my horizons. I am thinking of starting something of my own in apparel segment which I might not have thought before pursuing my MBA. I got an opportunity to work with one of the best finance companies during my internship and I tried my best to learn the most I could, pursuing my primary interest, marketing, at the same time. Hence I think IIM L gave me a holistic understanding of the different business aspects like finance, Marketing, operations etc. which I try to put into practice as and when I can. It has been a wonderful journey so far. I learnt a lot from best of the faculties and brightest brains around. Not just the professors but also my peers. It taught me lot of things which would help me become a better person and leader. I have made friends for a lifetime and would always cherish these days and experiences I have had. The post talks about a website Indofash. Our website “www.indofash.com” will be up soon. Please stay connected on our facebook page. Reading this as a follow up to ‘Indofash : A Unique Startup by an IIM Alumnus’. Did you not take up any job after MBA? How did you manage to go on with a startup that may not be earning much and without a secured income from a well paying job.